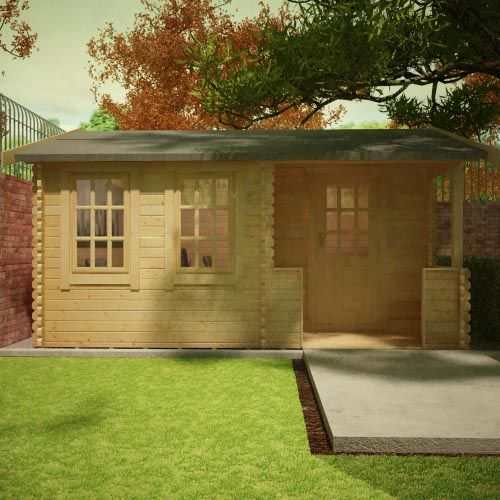 The Amur is yet another of our finest quality 44mm Log Cabins. It features incredibly high quality joiner made Georgian Style draft sealed opening windows and a Georgian Style Single door inset into the cabin's unique porch which is a lovely place to relax. A truly multi use cabin. 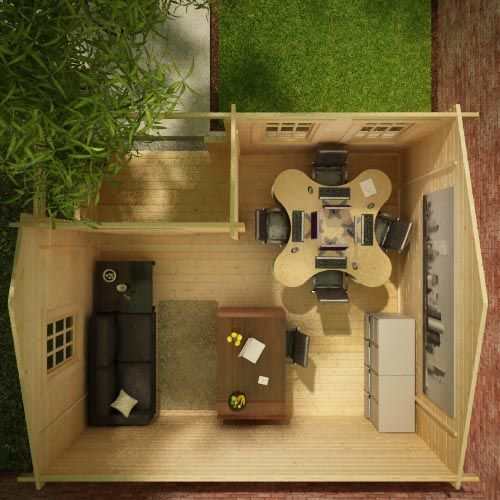 Excellent quality product, really pleased with extra space, ideal garden room. They was some minor issues with window locks breaking and door becoming stiff, however brilliant customer service guys came back repaired problem very quickly. 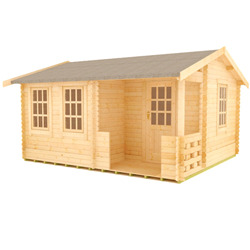 I was slightly nervous when ordering My 14x12 Amur Log Cabin never having seen one except on your website. But joy of joys everything went according to plan.The order was placed and I was kept informed of its progress and the delivery was right on time neatly delivered by a helpful driver. I had requested professional construction having built the base myself and Alan Storey of Heritage Landscapes duly arrived and did a first class job neat and tidy even allowing me to start putting on the first coat of preservative as he built.The whole experience has been a revelation from the moment the order was placed and any questions regarding the base buiding helpfully answered by your staff. The actual Cabin has exceeded my expectations in quality and is a very fine addition to the garden (I am using it as an office). I forgot to order guttering but again that was no problem and it was efficiently despatched. Everyone who has seen my Amur has been very impressed and I would have no qualms regarding recommending Tiger Sheds. I have only one regret and that is that I did not order a BIGGER Amur. lovely quality cabin, I run my dog grooming business from it, and all my customers now want one. I placed my order by phone as I wanted delivery to Cornwall. This was no problem and a fairly reasonable charge. From order to delivery was pretty much right what was projected. The proposed delivery day was fine which was a good job as the implication was that I'd have to wait a month if the date didn't work. The delivery driver was helpful and courteous and the cabin was delivered in a magically small well wrapped block. I had previously prepared a concrete foundation which made construction easy. The floor was difficult to get straight and square without help but otherwise almost the entire construction could be done by one enthusiastic and reasonably strong individual. Much easier with help though. Ignoring mistakes, floor and walls probably took about 8 hours, the roof another 8, in both cases with a couple of people. 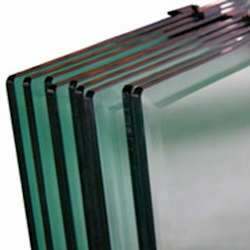 Build quality is excellent with impressively tight tolerances. I had four or five twisted logs which were difficult but not impossible to fit, the rest were perfectly straight and true. To my disappointment the main door is warped about 1/3 of an inch out of true which means it does not seal properly, but this is wood after all. I had to trim a short piece of floor bearer and about a quarter inch off the porch joist to get everything to fit but otherwise the cuts were all perfect. Having just built a metal shed which came with a 16 page manual I was surprised at the simplicity and scarcity of the instructions but actually they are fine though you still need to reference the cut sheets to see what you are supposed to have vs. some extra bits of packaging. All in all a good experience and I'd buy from tiger again. I wanted somewhere to chill out away from the house but still at home. 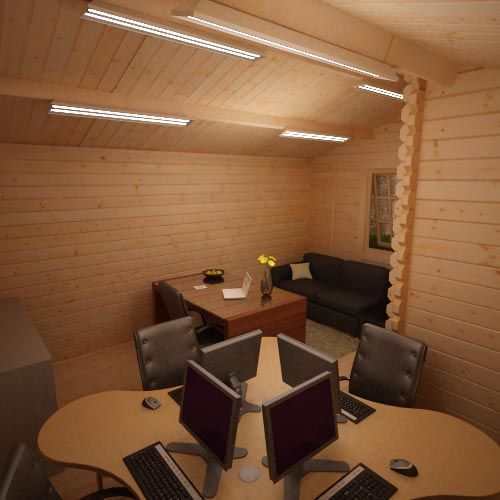 After looking through the images I can see that some people are using this log cabin for their business or as a games room so thought this would be a nice big room to enjoy some time with friends. 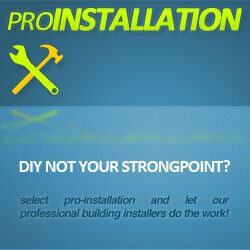 Very good product and excellent customer service. Totally love our log cabin, we have made it a pub in the garden and all our friends love it too. Would recommend Tiger Sheds to anyone who is thinking of purchasing, we spend most of our spare time in ours and all socialising is done there too, wish we had done it years ago. Have had my Cabin installed. I am very happy with the finished Log Cabin and would definitely recommend to others. Thank you very much Tiger. I can honestly say my buying experience was fantastic. The guys on the phone were helpful in providing diagrams of the building and the section on your site about building a base was essential for me. I had a lot of questions and nothing seemed too much trouble. The building is now up and looks great. Thank you Tiger, I would recommend you to anybody. 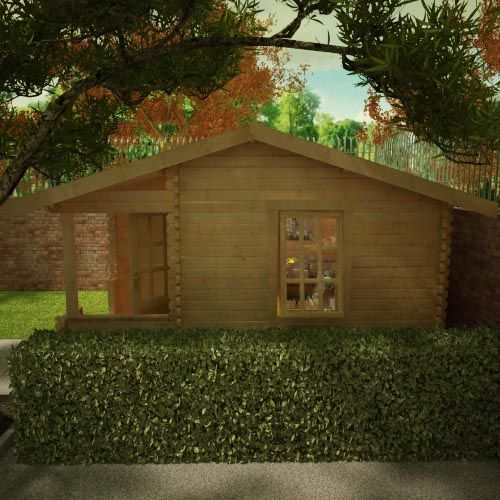 The Amur is another of our finest quality 44mm Log Cabins. It features incredibly high quality joiner made Georgian Style draft sealed opening windows and a Georgian Style Single door inset into the cabin's unique porch. 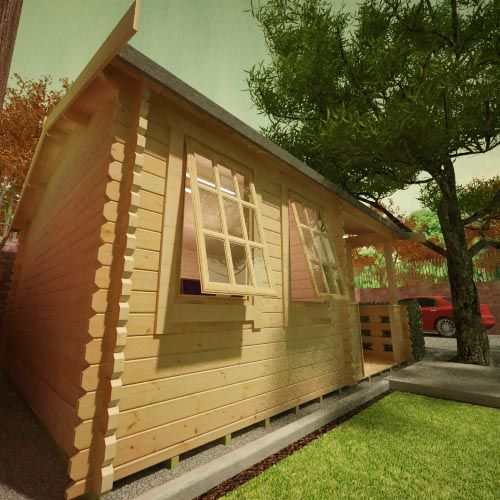 The unique shape of this 44mm Log Cabin allows incredible versatility as it can be used in so many different ways. 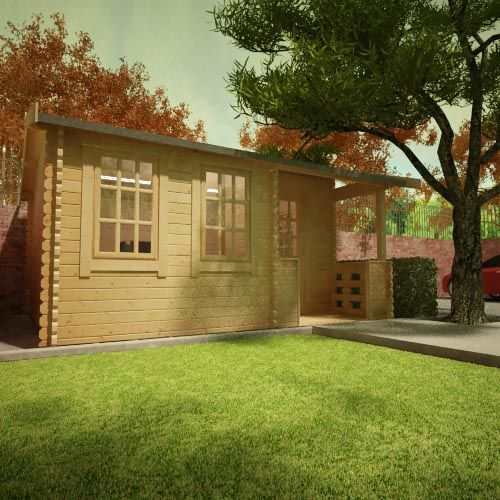 You may wish to just use this building as a luxury summerhouse at the bottom of your garden but it would be equally suitable being an office space, games room or an outdoor gym. 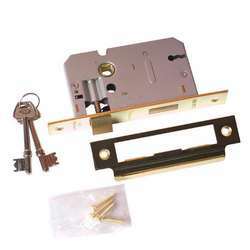 Features on the Amur include a high quality brass lock handle and glass glazing as standard. There's the option to add double glazing and even toughened glass as an extra as well as attractive yet heavy duty roof shingles. 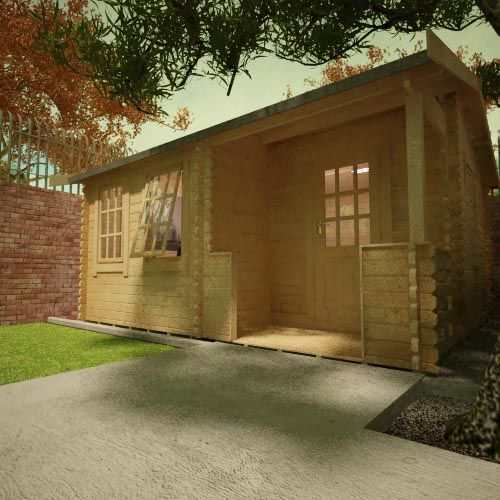 This all makes the Amur Log Cabin one of the most desirable buildings in our comprehensive Log Cabin Range. 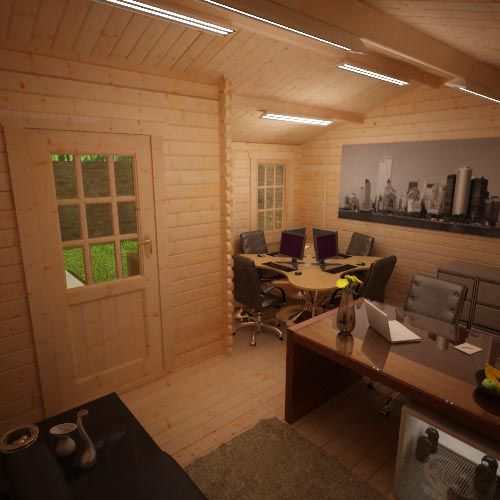 AMUR LOG CABINS feature high-grade 44mm interlocking planned and finished logs – beware of log cabins that feature rough edged boards machined from poor quality timber. AMUR LOG CABINS feature a specially designed 4-way chamfered notch-joint system ensuring a tight fit to all boards with little room for damp or wind penetration – beware of log cabins that feature square cut logs with square notch-joint, often leaving a sloppy joint with large visible gaps. AMUR LOG CABINS feature factory fitted pressure treated weatherproof heavy duty floor joists – beware of log cabins with untreated floor joists which offer no protection against damp penetration at floor level or worse still cabins that come with no floor joists at all. AMUR LOG CABINS feature heavy duty green mineral roofing felt as standard, with the easy option to upgrade to premium quality roof shingles – beware of log cabins that come with no roof covering, leaving the log cabin completely open to the elements. AMUR LOG CABINS feature oversized extra large doors and windows – most competitor log cabins use narrow doors which can prove difficult for access. AMUR LOG CABINS feature key-lockable opening windows and all doors and windows are professionally draft sealed – beware of cheap, ill-fitting doors and windows that cannot be properly secured and are susceptible to the weather. AMUR LOG CABINS feature high quality glazing which is factory silliconed and internally beaded to all doors and windows – beware of log cabins that feature lesser quality materials and provide no window beading. AMUR LOG CABINS feature a generous all round roof overhang which protects the building from severe conditions – beware of log cabins with little or no roof overhanging leaving them vulnerable to the wind and rain.